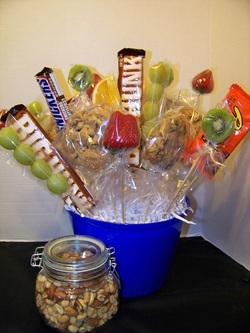 You choose the candy bars you would like in the bouquet. MOST fruit is available all year, however, keep in mind the season you are ordering in. We can wrap our Skewers individually or we will wrap the entire package to help keep freshness. Individually wrapped Skewers are great if the bouquet is being delivered to a business or office and won't be refrigerated immediately. 4" cakes can feed 2 people or enjoyed by one! They are perfect for All your events with no cutting hassle! They are a big hit at office parties! They also make great gifts! We offer a variety of flavors for your cookie cravings. Do you love the Oldie but Goodie cookies? Are you a Fruit n Nut kinda person?? 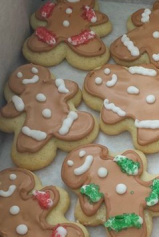 Maybe just some old fashioned Shortbread....we have it all check out our Cookies tab for a full list!!! So in honor of my sister, who appreciates my cakes and cupcakes but would rather have a brownie... we created a Squares n Bars menu!!! 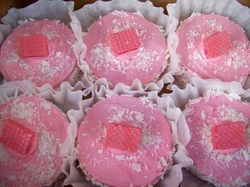 So here are a few yummy delights for you who prefer squares! Ever wonder what a Brownie Wedding Cake would look like...or taste like...how about a table of lemon squares and pb & j bars for your event...check out our flavors! below are our most popular and most requested specialty treats, if you are interested contact us for quantities and prices.